Moving to Qingdao - Compare International Movers & Save up to 70% ! Get several overseas moving quotes from one request! So you are moving to China? We can help you get started. Moving abroad requires a specialist in international moving before you pack. Intlmovers is one of the most convenient moving services to help you plan an international move and gather moving quotes. Intlmovers is an online quotation comparison service that is completely free, so you can compare moving quotes and get the best price! If you need to compare several moving quotes try Intlmovers. When you submit a moving request, your moving information is immediately forwarded to up to six international moving companies who assist you with a quote or any questions you may have about how to pack for your move to China. They will make contact with you directly in order to arrange a customized quote for your Qingdao move. The international moving companies have years of experience with moves to Qingdao. For westerners moving to Qingdao China it is a big adventure with a lot of new experiences. Qingdao is located on the South Eastern Shandong Peninsula in China. It is mostly a flat area with a few small mountains peaking up. Qingdao is a very large developed city with a population of over 8 million people. The city is a major sea port and Chinese naval base and heavy industrial center. Today the city’s economy is thriving on commercial trade from the west. Every since China opened trade to the western world in 1984 Qingdao has seen the one of the most rapid development and expansions in comparison to any other city in China. It has continually attracted global companies and has the highest salaries paid to employees in China. Qingdao climate has four seasons mixed with monsoon making it humid during warmer weather. The summers are humid but generally never hot the average temperature is around 25°C / 77°F the winter are dry and cold and windy due to its location near the coast with temperatures in the 0°C / 31°F. The foods eaten in this are primarily seafood and fish is eaten almost daily. The cooking is a mixture of shellfish, crabs, shark, sea cucumber and squid cooked in a unique Shandon region style. There are several festivals celebrated throughout the year that will give you an opportunity to sample the local cuisine or take part in the cities activities such as the Qingdao Ocean festival, Qingdao Fishing competition, and International Beach festival. Living in Qingdao is like living in most major cities in that it has busy streets and crowded conditions. In the late 1890s until the mid 1920’s Qingdao was a colony of Germany giving the city a European influence. The city does have a large international community from the many businesses doing trade in China today. The city is quite safe and the crime rate is very low making it a good place for family relocation. Finding stores that have western foods is a little difficult because there is not a very large amount of customers for it. However Qingdao is known for the best shopping deals available. Clothing can easily be found at attractive prices. There are a number of bars and restaurants and beaches making it an ideal city to live. Many people do find living in Qingdao an easier transition for living in the East. The beaches are an excellent place to enjoy swimming, sailing or sunbathing! Look for the Jimo Lu Market in the Shibei District, it is a bazaar style market that you can barter for designer labels, always check the quality first! Jimno city is a great place to go to soak. It has three flowing natural hot springs over a 10 hectare acre area. Qingdao produces its own beer that can be sampled in the local bars. It also hold an annual beer festival that’s not to miss! Anyone entering China must apply for a visa before entering into China. Anyone without a visa will be deported with the exception of Japan, Singapore and Brunei. You need to make sure your passport expiration is no less than six months before expiration. Once you have received your visa you can apply for a residence permit within 30 days of your arrival. Its good to note that visa are processed by each provisional government and approval is strictly up to each provinces decision. No need to stress, our qualified partners have years of moving experience for moving to Qingdao. Our movers will handle you personal belonging with extra care to make sure your goods reach your new destination in perfect condition. 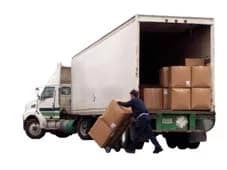 You can receive up to six international moving quotes from your request on Intlmovers, you are by no means under any obligation to accept any of them. Take your time to review the responses that you receive, compare services and make sure that you are happy with the information that has been provided to you. When you use Intlmovers to compare quotes, it is both cost free and obligation free!